So, it has taken me ages to pen this down and here is the story of how we got the chance to become the stars of a Canon campaign. Why did I take so long? Firstly, we were told that all pictures and information pertaining to the campaign were embargoed until the television commercial was launched and print ads were published. It ended up that the campaign ran in foreign markets and not locally, so there was a bit of confusion there for us. Well, we did see Vietnamese and Thai versions of our commercial and my friends in Malaysia took screen captures when they saw it airing in the cinemas. Secondly, I did something which I do quite well - procrastinate! Somehow, other things got in the way and though this was always at the back of my mind, I never got down to doing it. In spite of that, thinking about that experience brings back fond memories and it was a fun learning opportunity for all of us, so I thought I had better write it down now while the memories are still vivid in my mind. 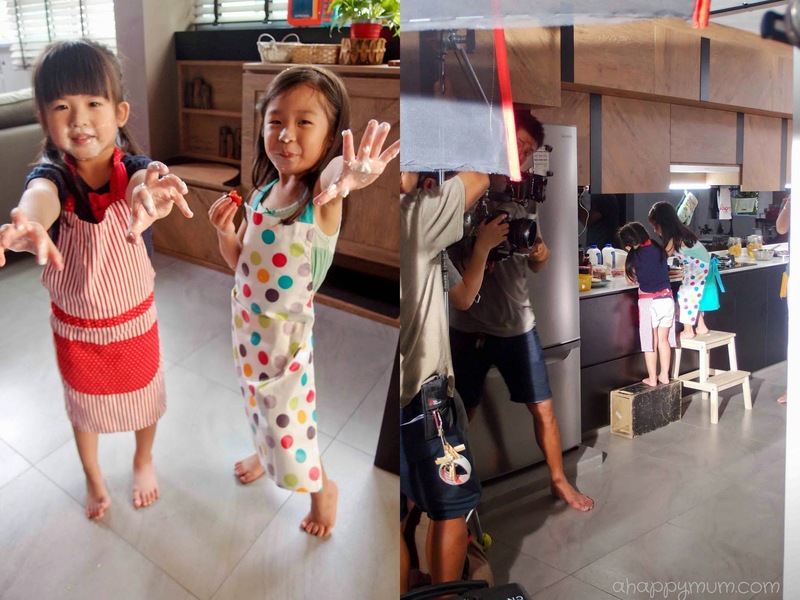 When I first read the email from Ken, a producer at Reel Loco Productions Pte Ltd, saying that they were working on a video for Canon Asia and would like to feature me and my kids, I almost couldn't believe my eyes. Me? My kids? In a TV commercial? Are you kidding? 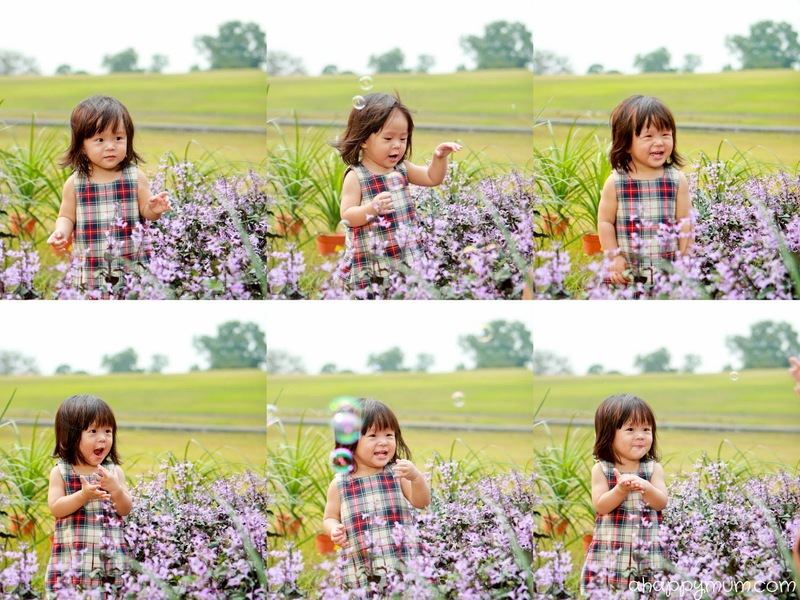 To get approached by a reputable brand that I have supported almost all my life and advertising something that I very much enjoy doing in real life - taking photographs of my kids with a Canon DSLR, it sounded like a dream come true. Then, on closer inspection, I realised that he meant to say that we were shortlisted, not selected. A quick check revealed that out of 100 over mum bloggers, they had chosen 30 to present to Canon who then made their top 5 selection. That meant we had around 20% chance of being chosen as the final one. High probability? I didn't really think so at that time and though we had hopes, we didn't have high hopes. Nonetheless, Ken visited us at our house, got to know about our everyday life, took footage of me interacting with the kids and asked me to give an introduction of myself on camera. You know, I have to thank my four years of Communication Studies in NTU which greatly helped to boost my public speaking skills and self esteem, things which I was lacking previously. So, everything went smoothly for us and we waited patiently, or should I say anxiously, for their decision. And, of course as you know, with a stroke of luck, we eventually made it through and got selected! Hip hip hooray! Things went into a mad rush from that point onwards. Firstly, we had to do the fitting and choose our attire, which took a minimum of three sessions even though most of the clothes we used were our own. Secondly, we had to go through the script which I must say came in at the very last minute. 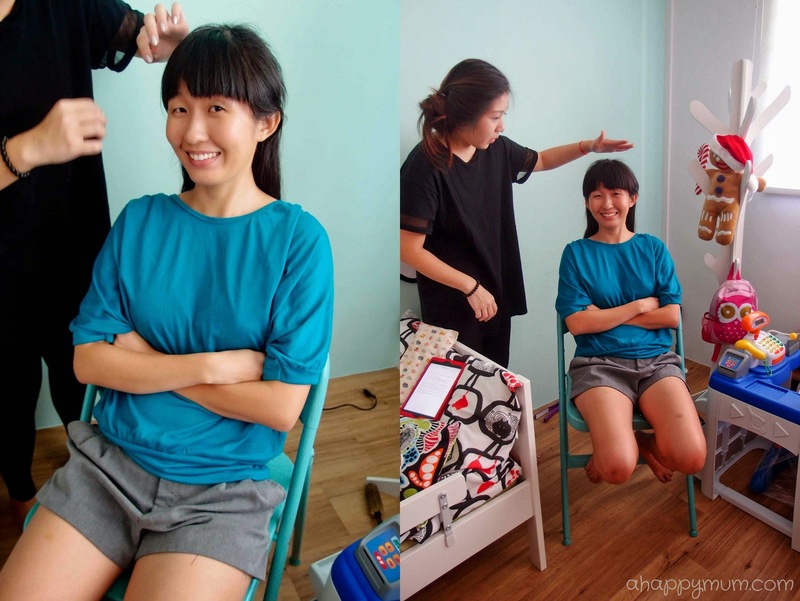 Lastly, the one big problem we faced was that my not-so-spacious-and-somewhat-messy house was deemed as unsuitable for the filming location, which was what they planned for initially. So, Ken called me on a weekend when I was in Pulau Ubin to inform me and we had to find an alternative location within a couple of days. Fortunately, I turned to my brother and sister-in-law for help since they had a cosy, cafe-themed home that would be perfect for the shoot which involved pancakes and cupcakes. They gamely agreed and a quick recce was all the team needed before we confirmed the place as our filming venue. Plus, my sis-in-law and my niece could play a part in the shoot too! Yay, girl power! So, the filming took a total of two days lasting 10 hours each. I was initially worried if the kids could take it but I wanted to put them to the challenge too, after all, if you don't try, you won't know, right? Thankfully, the filming crew was considerate enough to think about the needs of the little one who would need her milk and nap in the middle of the day. So, even though we say it was 10 hours, the kids had plenty of snack breaks, lunch break and rest time in between and most of the time, they chose to play with their cousin in her room. The only one who didn't manage to rest was - erm, me. Because if the scene involved my big girl, I had to be there to guide her. If it involved my small girl, I had to be there to assure her. And if it involved me, I obviously had to be there and I waned to make sure I gave my 100% every time too. The makeup and styling would take slightly over an hour each day and the last time I had so many people fussing over the way I looked and dressed was during my wedding. Not a hair was to be out of place, not a crumple in my shirt, and not even a drip of sweat should be seen. So, every time the director, Shaun, said "Cut! ", there will be people rushing up with handheld fans to make sure I cool down. Once, my sweat could be seen on a grey cardigan I was wearing and I had to change to another one just so it wouldn't show on the camera. We had two main scenes for the ad - one was the kitchen scene where we did baking and the other was the bedroom scene where we played dress up. If you have seen the ad, you might think it all looked fun and easy! After all, all the kids needed to do was stack pancakes, decorate them and then eat, right? If you were there to witness the filming process, you would realise how things were far from what they seemed. Firstly, the crew had to make sure the setup was impeccable and this would mean putting up new curtains, displaying the right decorations, getting new utensils, buying the right ingredients and using the right props. You might not believe this but my sis-in-law and I had to help out in making homemade pancakes and cupcakes which were to be used during the filming (No, they didn't allow store bought ones). I would never have made it without her and was so thankful she got up early at 5am to help prepare everything. Secondly, those scenes that you saw were only a part of what we filmed. Most of what we did was not used in the final cut at all but that is just the way it is done, right? You choose the best eventually but to get to the best, you would need many good shots along the way. For every scene, we would usually have to do it around 8-10 times, sometimes even more. That essentially meant we stacked pancakes 10x, the girls decorated pancakes 10x, Angel stole a cookie from the jar and ran away 10x, Ariel fed me pancakes 10x, I whisked a batter with a smile 10x, I lifted a camera and put it down 10x, I sprinkled icing on cupcakes 10x, my sis-in-law walked across the kitchen to put cupcakes in the oven 10x, I made Ariel eat strawberries 10x, Angel flipped a pancake 10x, I used the camera to take pictures of them 10x (this one probably 20x) and so on. You get the point. And this was just for the kitchen scene which took up the entire day already. Was it easy to get Ariel to look and smile for the camera? No. Thankfully the strawberries and rainbow sprinkles helped to make her happy. Was Angel cooperative the whole time? No, she was fine at the start but in the late afternoon, she became lethargic and kept saying that she wanted to rest. With all the cameras and lights waiting for her, that was impossible and it took me much to persuade her. In fact, she threw a tantrum and accidentally knocked herself onto a chair, ending up with a bloody lip. The hubby couldn't be around to help on the first day and that meant the tired me got even more tired after just one day of filming. Nonetheless, when we got home after dinner, we washed up and after Ariel fell asleep, I had a good heart to heart chat with my big girl. You know, for me, it wasn't about the money or fame in taking up this opportunity; it was more for the learning experience and memories we would create as a family. I wanted my girl to take this as an opportunity to push herself beyond her limits and achieve what she thought she couldn't. So, we had a long talk about Uncle Nick (how we call Nick Vujicic at home) and how he attained his dreams by not giving up. We reminded each other that life is like running a race and we shouldn't throw in the towel midway but instead, strive and persevere till the finishing line. We encouraged each other to have the willpower and strength to overcome obstacles. We hugged each other good night and promised that we would try our very best to make things work the next time round. It ended up we slept at midnight despite the fatigue but I knew it was worthwhile. Woohoo! 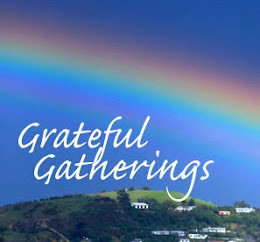 We woke up the next day and arrived at the scene with renewed vigour, energy and joy! It's amazing how a pep talk can boost your morale, right? For this shoot, it was conducted in the master bedroom where we were going to play dress up. Angel had the most important role that day because she was going to be the one leading the show - she had to pick out a hat, high heels and shirts from the wardrobe, walk to the mirror, see her own reflection, play with make up on the bed, put make up on Mummy, and even use the DSLR to take pictures. Comparatively, Ariel had an easier job - walk over to Mummy, jump on the bed and put on oversized hats. Once again, we had to do the same scene and same action umpteen times and I think that was the challenging part for the kids. I mean, how do you not make them get bored of doing the same thing again and again, especially if it's something that does not interest them? Personally, I do admire the professionalism of Shaun and how he would allow things to just flow at times in order to capture the kids at their most natural moments. Not everyone is cut out to be a director but he had the talent, personality and passion to be a great one. I also have to thank Ken and April, the bubbly assistant directors who helped to entertain the kids and explained their duties to them in a fun and pleasing way. For the second half of the day, it was time for me to bring it. Yes, the interview! Believe it or not, I only read my lines that morning itself when I was having my makeup done. But it didn't really matter because in my view, the more you rehearsed, the more phoney it would sound. So, I really wanted it to be as natural as can be. I was also given some open-ended questions on kids and photography, and was told that I could express my views and answers freely. That was something I was actually looking forward to because it did strike a chord in my heart. However, it ended up that they decided to do away with the Q&A and stick to the script instead for easier editing. So all I needed to do was to read from the teleprompter. Easy peasy lemon squeezy? Well well. We probably did a total of over 20 takes. Or 30. Ok, I lost count. To give myself some credit, I actually did not fumble over my words or get stuck in the middle of a sentence. However, I had to keep within a time limit and so had to adjust the speed of my speech accordingly. Not easy not easy. Sometimes I would talk too fast and we would have a few seconds left or sometimes I would talk too slow and get cut off at the end. Then, for a good number of times, we had interference from the sound of car horning on the roads, someone passing by with a plastic bag in hand, a door slamming shut, and even the beeping sound of the garbage truck right below us. As long as there was one unwanted noise, that whole take, no matter how perfect otherwise, would have gone to waste. Then, I also had to deliver two versions of the script - one 60s and one 30s. That took a couple of hours and through it all, I had to try my utmost to maintain a smiling face and a chirpy voice. Thankfully, we managed to get a half an hour break in between while waiting for the final 30s script to be edited. That was when I started to have a chat with Shaun and the cameramen. They asked me how I felt about the whole filming experience now that I had a better understanding of the process, and were shocked when I revealed that I actually quite enjoyed it. Shaun also asked "Will you do this again if you get another chance? ", which he said most people would reject after knowing the amount of tiring work it involved. To his surprise, I readily gave a "Yes, why not?" and when I shared with the crew how I had a one-hour long chat with my big girl last night about overcoming hurdles in life and lessons learnt from the filming experience, they probably stared at me like I was the weirdest parent on earth. Anyway, thanks to the hubby who arrived on scene so he could bring the kids out to the playground and grant us peace in the house, we completed the interview segment and you should have seen all the ecstatic and relieved faces when the director said "We are done. It's a wrap." We were extremely lucky because guess what, it started to rain afterwards and with the rain splattering outside the windows, it would have been impossible to film the interview. Personally, I was glad we survived it all and yet I was already starting to miss all the fun and the new friends we made! Hereby, I just wish to say a heartfelt thank you to the Reel Loco team and Canon Asia for giving us this precious learning opportunity. We gained more than we imagined and even if this might be the first and last opportunity for us, we are glad to at least have this experience for memories. To my brother and sis-in-law, this shoot would not have been possible without you all and your beautiful home, so thank you for your kind help. To my dearest niece, so sorry that your scenes were taken out of the final cut but please know that you did such a brilliant job and you looked so pretty on screen! To the hubby, thank you for your support and confidence in us! Last but not least, to my darlings, you girls rocked the shoot and did a most amazing job! Remember that we have to be thankful for all the good things that happen to us and hopefully all of us learnt something from this precious experience too! Wait! We were not done after the two days of TVC filming! That is because we still had a photo shoot session on the third day for the print ads. Initially, we thought it would involve all the three of us but just the day before, we were informed that only Ariel and I would need to be in the shoot. Was it a relief for Angel? Well, not really. In fact, she was pretty much dismayed by it and during the shoot, she kept wanting to run into the scene and even cried badly when we told her she had to come out of it. Awww. Anyway, thankfully this shoot lasted for half a day only because it really wasn't easy to make a toddler stand still on the X marking, and smile, under the hot sun. For Ariel, we had to use bubbles, lollipops and get Daddy Mummy acting as clowns in order to distract her and make her laugh. You know those ads where the toddler looks superty duperty cute, is smiling and looking at exactly the right angle? Well, that IS a lot of hard work to produce. 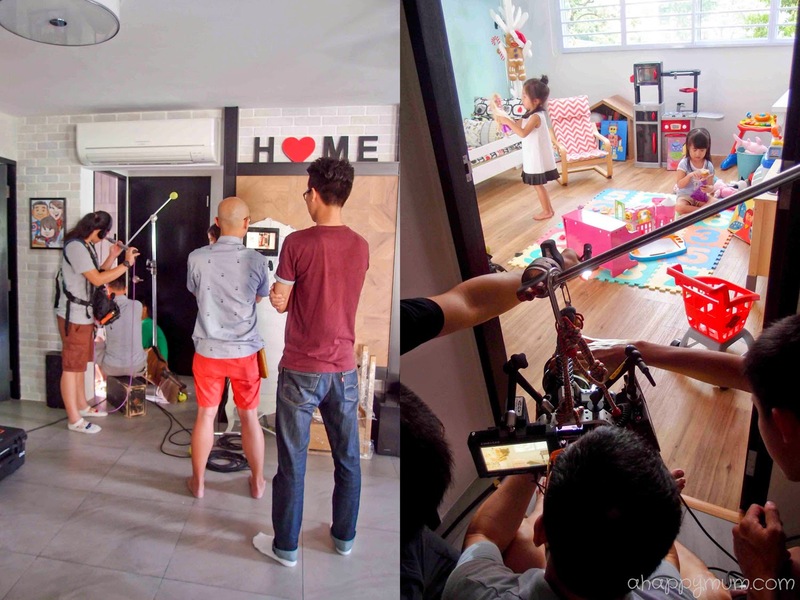 In fact, any ads or TVCs involving small kids need double the effort and time to create. At one in the afternoon, we finally finished and were free to go! Guess what was the first thing we did? Well, we had a hearty meal in McDonalds to reward the kids for all their hard work. Woohoo! This time, it's really a WRAP! Here's the 60sec TVC for those who have not seen it! I have to say that the best thing we took away from the whole experience was indeed all the priceless memories and we are absolutely grateful for everything. Cheers to a fun, exciting and enjoyable first filming experience! Disclosure: We received monetary compensation for the filming but not for this post. All behind the scene pics are kindly taken by my sister-in-law, all experiences are true and all opinions are my own. Super awesome experience for the girls! They are going to giggle and laugh when they rewatch this TVC when they grow up. Haha I sure hope they will look back and be thankful for this fond, precious memory! =) It does make me smile every time I look at it because it reminds me that my kids are growing up so fast! =) Thanks for reading, Claudia! Sounds like it was hard work but what a great experience and memory for you and especially your girls to have. They look gorgeous in the ad. It wasn't as tough for us as it was for the crew! But yes, it is definitely an awesome memory to look back on in future! :) thanks so much! What an experience and it turned out amazing. It is an experience, isn't it? And a very memorable and enjoyable one. Thanks much, Malinda! Indeed it was a precious and fun experience for us! Aren't we really lucky? Thanks much for reading and watching, Jess, really appreciate it!